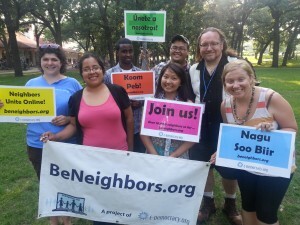 Meet our BeNeighbors Outreach and Engagement Team Members – St. Paul’s 2013 Dream Team for Community Building was written on July 22, 2013 and filed in All, Inclusion, Minnesota, Neighbor Neighbourhoods, News, St. Paul - US, US. E-Democracy.org: Coming to a St. Paul neighborhood near you! Many of you joined E-Democracy because one of our summer staffers knocked on your door, and in the true spirit of inclusive community building, invited you to join the E-Democracy forums. Going door-to-door in St. Paul has been a major focus of our team this summer and last, as we work to reach the goals of our BeNeighbors.org campaign. We recently hired our new summer staff as well as “forum engagement” leads to help foster on forum dialogue. Men and women of all different ages and backgrounds are covering almost every inch of St. Paul. They may even have already knocked on your door. The outreach staff work about 15 hours a week and the forum engagement leads put in about seven. We wanted to give you a brief introduction to the summer team and let you know a little of the work we’re doing. We will be adding some related photos and videos to our Facebook page. Siciid Ali joined the E-Democracy staff this summer as one of our outreach coordinators. He’s concentrating on outreach to the Somali and East African community. Donna Evans has been with our team since the beginning of last summer. She is connected deeply in St. Paul. She is a jack of all outreach trades from small community events to library storytime outreach. John Slade is both a new father and a new E-Democracy summer team member. He’s doing a lot of work in Dayton’s Bluff and the Greater East Side. Gloria Castillo has been active in efforts to pass Minnesota’s DREAM act. She’ll be doing special outreach to St. Paul’s Latino communities. Chia Lor is a college student and hip hop artist who will be doing outreach work in the Asian-American community and in Payne-Phalen. Cirien Saadeh is active in food justice issues and is both helping with communications and outreach field logistics this summer. Devin Miller runs a virtual ministry and is a long-time community convener in St. Paul’s African-American community. He is working to boost forum engagement in Summit-U Rondo, Frogtown and other forums. Hawi Awash just graduated from high school in St. Paul. She is very active in the community. She joined our team and will being doing some special outreach in Highland to the growing Ethiopian and other immigrant communities. Dan Gordon just rejoined our summer team from last year. A Spanish speaker, he will boost our door to door efforts through the summer. Tong Thao works with Frogtown Farms and is making ends meet delivering pizza. He is our Asian-American Forum Engagement lead. Much like last summer, our summer outreach team, will be going door-to-door in St. Paul to reach out to ALL people and especially working to reach communities of color, immigrants, lower income residents, and others who are vital parts of our community. Every one of them has joined the team because they believe in digital inclusion and civic engagement – and they believe in St. Paul. They believe that St. Paul can be a willingly and joyfully engaged community. Make sure to check out our About and People page for our most recent list of contract team members and opportunities to get involved. Cirien is assisting with communications, social media, and outreach logistics and organizing, and is passionate about social justice, particularly racial equity as it relates to sharing our untold stories, “I think it’s really, really important we help people learn how to tell their stories. Storytelling is something we share across all cultures, and it’s through listening to each others’ stories that we create a common language. That’s why E-Democracy is so important. It provides a way for people to learn each others’ stories without having to go to a community meeting set up to support someone else’s agenda.” Cirien graduated with a degree in Political Science in 2012 from St. Catherine University and is a trained community organizer through the Organizing Apprenticeship Project and citizen journalist (video and print) through The UpTake and other projects. In her spare time, Cirien is a martial artist in training, a new gardener, and a writer. Chilli was born in Chiangkham, a Hmong refugee camp in Thailand, and came to the United States with her family at the age of two. She lived in the McDonough Home Projects until 2000 when her family moved to the Greater East Side. She graduated from Central High School and is currently a student at St. Catherine University double majoring in Sociology and Critical Studies or Race and Ethnicity. 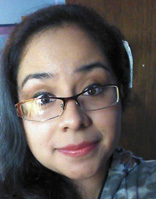 Her passion for racial justice began with her refugee/immigrant experience and she is a trained community organizer through ISAIAH and TakeAction MN where she interned as a community organizer on the Central Corridor Light Rail Project. “I am a firm believer in grassroots organizing, because only through getting everyone at the table can there be authentic decisions.” As a poet, hip-hop artist, and b-girl (a girl that break dances), Chilli is a huge advocate for using the arts as a tool for social justice. This spring she interned at the Plymouth Youth Center (PYC) Arts and Technology High School where she helped students produce the school’s first school wide Hmong show. She is an active member of the youth group at St. Vincent de Paul Catholic Church and volunteers as a youth mentor artist with East Side Rising, a project of the Payne Phalen (D5) Planning Council. Chilli co-leads outreach in Payne Phalen, Greater East Side, North End, Dayton’s Bluff and the Asian community. 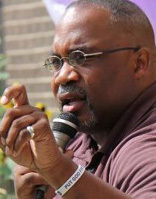 Pastor Miller is a leader in the African American faith community. He is an Ordained Elder of the Church Of God In Christ and an Ordained Minister of the National Baptist Convention, and has worked with several communities and congregations to promote cultural understanding and improve services. “There’s a new generation of media savvy leaders coming up that have not made the connection to the African American communities. There needs to be a bridge, and neighborhood is a place where common interests can bring us together.” Pastor Miller is working to promotes African American forum engagement on the Frogtown, Greater East Side, Summit University Rondo forums. Donna is a deeply committed community volunteer. Her most recent efforts include collaborating with Saint Paul City Council members, the Aurora St. Anthony Neighborhood Development Corporation (ASNDC) and neighborhood residents in a successful campaign for three additional Central Corridor LRT stops. She also served on the Saint Paul Promise Neighborhood Advisory Board and volunteered with the Promise Neighborhood high school Solution Action Groups. She has an Associate of Arts in Computer Science. Donna co-leads outreach in central Saint Paul (Frogtown, Summit U, Union Park, and Hamline Midway) and is focusing her efforts in Summit University and Union Park. 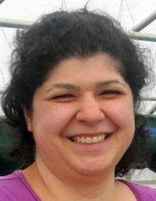 Donna first joined E-Democracy as a member of the 2012 Summer Outreach Team. Gloria was born and raised in Mexico City. She moved to Minneapolis at the age of 12 where she graduated from Roosevelt High School. She went to Southwest Minnesota State University in Marshall for two years, and is transferring to Minneapolis Community and Technical College to continue her studies. Gloria has been involved in many civic organizations mainly focused on the immigrant community. 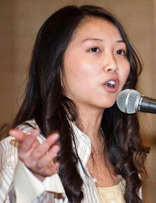 She helped to organize Dream Act rallies in Minnesota and has marched for Comprehensive Immigration Reform. Gloria is passionate about social justice, and happy to be working with E-Democracy this summer to help grow a more connected, collaborative Saint Paul. “It’s very hard for the community to get together. Using the forums is a way for people to build trust among their own neighbors. They help people get along and get things done.” She co-leads outreach in Dayton’s Bluff, West Side, West 7th, and on the Greater East Side, and promotes forum engagement in the Latino community. John is a Minnesota native who has lived in the Twin Cities since 1983. He has been working as a community organizer since 2007, first with the Metropolitan Interfaith Coalition on Affordable Housing and until recently for Twin Cities Habitat for Humanity. “Access to electronic media, the freedom of the internet, and media alternatives are critical to democracy, which is why E-Democracy.org is so important. Our work helps level the digital playing field.” John has a BA from Macalester College and an MA from the University of Minnesota in Linguistics. 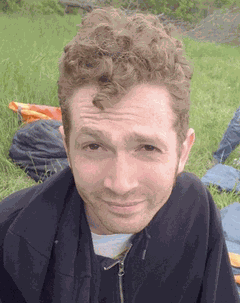 He became passionate about social justice as a college student and has worked as an environmental canvasser, union organizer, and media activist. 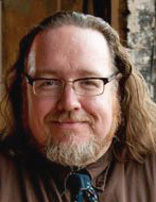 He was a founder of the Twin Cities Independent Media Center (TCIMC) and has been on the board of KFAI Fresh Air Radio (90.3/106.7 FM) since 2006. John co-leads outreach in Dayton’s Bluff, D1, Payne Phalen, and on the Greater East Side. Siciid came to Minnesota with relatives at the age of five, leaving behind his mother and brothers and sisters and the turmoil in Somalia, where his father was killed in the civil war. As the oldest child of a family that eventually grew to include 13 siblings, Siciid began working as a breadwinner at a young age. It was a tough decision to go to college. He recently earned his Masters in Public Administration with a focus in public management from Mankato State University where in 2011 he earned a BA in Urban Planning and a BS in Professional Geography, and obtained certificates in Geographic Information Science and Nonprofit Leadership. He has worked with the Senator Amy Klobuchar’s office, the State Department of Commerce, Dayton’s Bluff Neighborhood Housing Services, and the Brian Coyle Community Center in the Cedar Riverside neighborhood of Minneapolis. 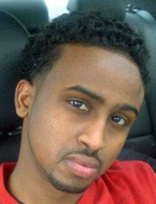 From 2008 to 2011 he was a member of the Mankato State University Somali Student Association where served as Vice President and organized annual cultural shows, led community gathering to promote understanding about Somali culture, and mentored Somali students. “I was raised by the community with a lot of mentors. This is my time to give back. The forums are a place where we can talk about our issues and concerns within the community. I am working to get the message out that they are welcoming and can help people find the information they need to accomplish goals and results.” Siciid co-leads outreach in District 1, Union Park, Dayton’s Bluff, and West 7th/Fort Road. Tong was born and raised in St. Paul and has been living in Dayton’s Bluff for over 10 years. He discovered his passion for community organizing while working for the Frogtown Neighborhood Association (FNA) and interning with the Local Initiative Support Corporation (LISC) as a Housing Coordinator/Community Organizer. “Community is all about the people. Without the people there is no community, and if the community raises its voice about what they want to see, we can build a stronger community.” Tong is a 2012 graduate of Gustavus Adolphus College where he majored in Geography. 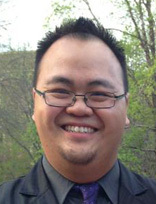 He is working to promotes Asian forum engagement on the Dayton’s Bluff, Frogtown, Greater East Side Neighbors, North End, and Payne Phalen forums. Dan was raised in Duluth, Minnesota and graduated with a degree in Urban Studies from the University of Minnesota. He’s been involved with organizing campaigns in the Twin Cities for immigrants’ rights, equal access to higher education, and putting an end to police brutality. Having served as a human rights observer in Guatemala, Dan is deeply interested in Latin American politics and global affairs, and has a particular interest in using journalism to tell the stories of people who are marginalized by the mainstream media. Dan is assisting field outreach where needed in year two of his work with us. Join E-Democracy’s 2013 Inclusive Forum Engagement Team!